The vintage Commodore 64 personal computer is getting a makeover, with a new design and some of the latest computing technologies, as the brand gets primed for a comeback. The Commodore 64 was a home computer running on an 8-bit processor released by Commodore International in 1982. The computer was one of the most popular models of all time, selling close to 17 million units between 1982 and 1994, according to the Computer History Museum. The revamped computer will be available through the Commodore USA online store, which is set to open June 1, according to the company's Web site. 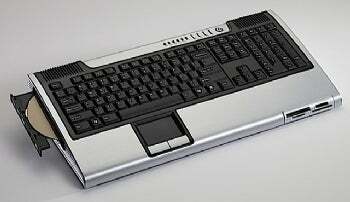 The computer will be an all-in-one keyboard, with Intel's 64-bit quad-core microprocessors and 3D graphics capabilities, according to the site. To conform with the times, the PC also offers up to 500GB of hard drive storage and 4GB of RAM. Also included are a DVD-RW drive, a touchpad, four USB ports, a Gigabit Ethernet port and a DVI (Digital Visual Interface) port to connect monitors. No price information was given on the Web site. Commodore USA is a new company that has licensed the Commodore name from Commodore Gaming, which makes games for PCs and consoles. The PC company is trying to invoke the glory of the Commodore 64's past to promote the new PC. On its Web site, the company shows an image of the old Commodore 64 with the caption "you loved us then," and then an image of the new PC, with the caption "you'll love us again." The device is small, measuring 17.5 inches (0.44 meters) wide and 2 inches (0.05 meters) tall, Commodore said. "It's designed to take up far less room -- and use far less energy -- than any other desktop computer," Commodore USA said. The PC will run the Linux, Windows and Mac OS X operating systems. But will it find buyers? The glorious past of Commodore PCs might not be repeated for its successor, said Roger Kay, president of Endpoint Technologies Associates. "It's a weird legacy thing with modern inerts," Kay said. Commodore PCs had a heavy following in the 1980s among hobbyists, but the glory days may not translate to better sales with price-conscious customers today, Kay said. Commodore started selling Commodore 64 in 1982 for US$599 and managed to reduce the price to $199 over time, a revolutionary price then, said Jack Tramiel, former chairman of Commodore International, during a panel discussion in late 2007. During the same panel, Apple co-founders Steve Wozniak and Steve Jobs approached Commodore with an Apple II prototype, which was much more advanced in color, graphics, sound and games. Apple at the time didn't have the money to make and sell the Apple II, and was hoping Commodore would push the design to market. Commodore, however, preferred to develop the Commodore 64 as a simpler, lower-cost, black-and-white-only machine. Commodore wanted to serve the "masses," not the "classes," Tramiel said during the discussion. Commodore kept updating the original Commodore 64 design and became the first to sell more than a million PCs, but the company filed for bankruptcy in 1994 and liquidated its assets. In the meanwhile, Apple managed to survive, and the Apple II became one of the most recognized computers in the 1980s. Commodore computers were made for enthusiasts and came with fairly arcane software and hardware elements, Kay said. Kay bypassed a Commodore and bought an Apple II in the early 1980s, as it had software that made the computer easier to use. "It wasn't so easy [to use a Commodore], the way Apple always understood the experience should be," Kay said. That made the Apple II computer better for new users entering the computer market.